Get up close and personal with the three founder members of folk-rock legends Oysterband, at The Apex on 21 March. Having started off as The Oyster Ceilidh Band in the late 70s, the following years saw the band shorten their name and begin to experiment with radical arrangements of traditional songs. Being determined that traditional music should not just be a branch of the heritage music industry, Oysterband found themselves on the same scene as The Pogues, The Levellers and The Waterboys. Since then they have recorded numerous albums, toured internationally, won five BBC Radio 2 Folk Awards, and collaborated with the likes of June Tabor. Now, Ian Telfer, John Jones and Alan Prosser, the creative heart of Oysterband give an insight into the band’s dramatic (and sometimes comic) history, along with an acoustic performance of some of the best songs from their career. Ian Telfer added “We more or less improvised the show at Sidmouth, and to our genuine astonishment it went down a storm… We hope you'll come along and see what's what - should be a blast!" Oysters 3 play at The Apex on Tuesday 21 March at 8pm. 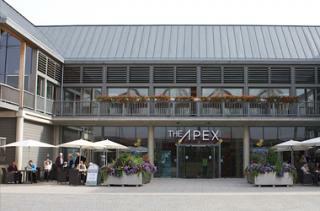 Tickets are £17.50, call the Box Office on 01284 758000, or visit www.theapex.co.uk for more information, or to book.